The GloFX Black Bolt cyber goggles take you into a world of complete immersion. Styled after steampunk, gothic or welding goggles, these goggles can push your EDM outfit to the next level. 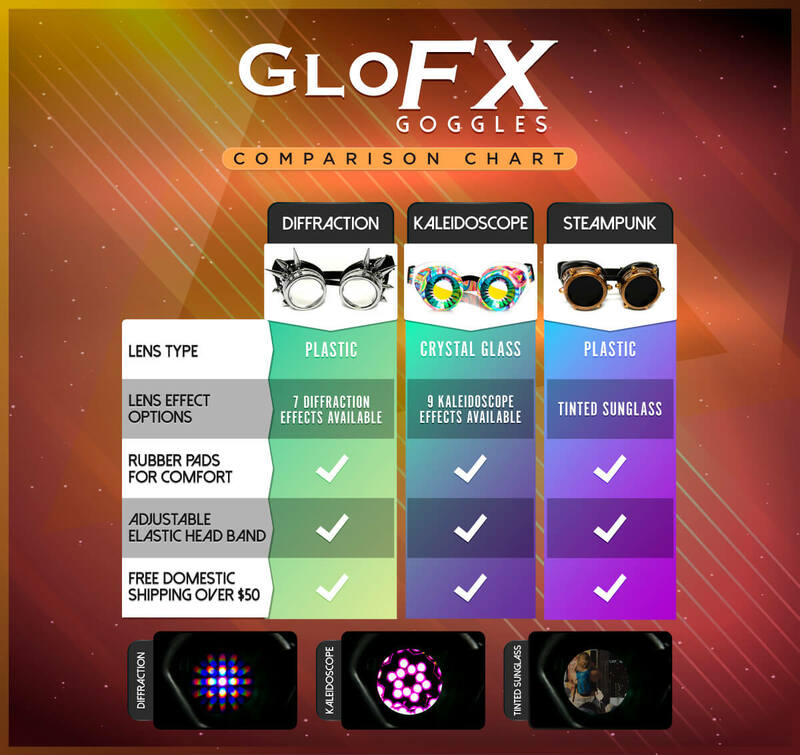 Our GloFX Goggles come with plastic lenses with dark tinting. With its adjustable headband and high quality polymer, rest assured that your new goggles will stay put no matter how wild your night gets!